There is one plumping problem you might be able to repair yourself and that is a clogged toilet Melbourne. Of course, serious clogs may require professional plumber intervention but there are a few things you can do before you call a plumber. If your situation is urgent and you do have an emergency plumbing Melbourne problem you can contact us on 0412 738 874, or send an email. You should always have at least one plunger in your home as this is the item you use first to fix a clogged toilet Melbourne. You shouldn’t wait until your bathroom is flooded with dirty water until you buy your first plunger. The first thing you should do before using the plunger is to take the toilet tanks’ lid off and push the flapper in order to prevent the water from flowing into the bowl. After that you should start plunging to check if you are able to fix the problem. Don’t fret if there are no result from the first few times of pumping the plunger as robust pumping and elbow grease may be necessary to finish the job. If there is no result from using the plunger, you should snake the drain. This is an item that is quite cheap and easy to find in almost all hardware stores. You should put the snake into the toilet bowl and carefully push it down the pipe to fix clogged toilet Melbourne. You will notice some resistance as the snake reaches the clog. When you do, you should rotate the snake clockwise in order to break up the clog with the tip of the snake. Sometimes plungers and snakes won’t solve the problem and this calls for professional help. The clog can be caused by the debris that has built-up in your toiler but it can also be caused by objects which have been dropped in by child or clumsy guests. At this point you should reach out to a professional plumber as they will be able to clear the pipe or make the needed repairs without causing more damage. 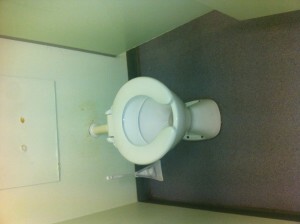 A thing to keep in mind is arranging an annual inspection by a plumber to prevent a clogged toilet Melbourne. This will help in keeping the efficient work of your toilet and also keep all other bathroom pipes in excellent condition, free of clogs and leaks. If you require professional help …? Blocked Drain Plumbers, we are always ready to help with you plumbing emergency of your clogged toilet Melbourne. Just call us and we will do everything to unclog the toilet and get it back to more efficient state.